The imperium has been brought to the edge of extinction by an ork invasion of unprecedented scale and depth. Piecemeal strikes against the invaders prove totally ineffective - for every ork fleet destroyed, five more appear. The only solution is to find and kill the orks' warlord, the Great Beast. Surely if its leader is killed, the greenskins' empire will fall apart in an agony of in-fighting and confusion. 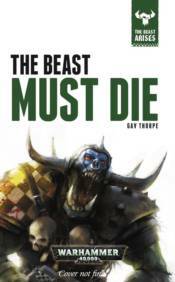 Koorland assembles a mighty army, but when they arrive on the orks' home world, the forces for the Imperium discover they have disastrously underestimated the might and integrity of their enemy.